Now all you need to set off on the trip of a lifetime to the Jim Corbett National Park is packing along the right stuff. You can’t make it too much but you also don’t want to leave behind the essential stuff – the right stuff that can make or break your trip. Don’t we just wish we had a checklist for just that, to set us off in the right direction, or someone who knew more about the park to point us out the nuances? For many of us going on a safari to the Jim Corbett National Park for the first time, things can be pretty confusing. Even though the excitement is at the peak there are a million questions that need to be answered. What clothes to wear, how much is too much to carry, or how exactly is the weather going to be – are just some of them. Even seasoned safari goers also need to check time and again to make sure they are not missing out on something. Going on a safari itself is a big adventure, and Corbett is even more a serious ball game due to its unique seasons and peculiarities. And, if you try to get into it unaware, chances are you might be in for a surprise! So, we’ve tried to chalk it out for you so you don’t miss out on anything and you can just sit back, relax and plan a super-exciting trip to Jim Corbett National Park! Trolley bags are great! But we need the flexibility to move about freely. At Jim Corbett National Park Smooth grounds may not always be an option so light backpacks are the best bet. You will be hopping in and out of vehicles throughout the trip, so bringing along a daypack to carry along only the essentials when on you go exploring the wilderness is a good idea. You don’t want to just go to Corbett Park without putting a little thought into what you need to wear. All seasons are great seasons to visit but the clothes you’ll need varies along with when you are going. While summers are scorching hot, winters are quite chilly. 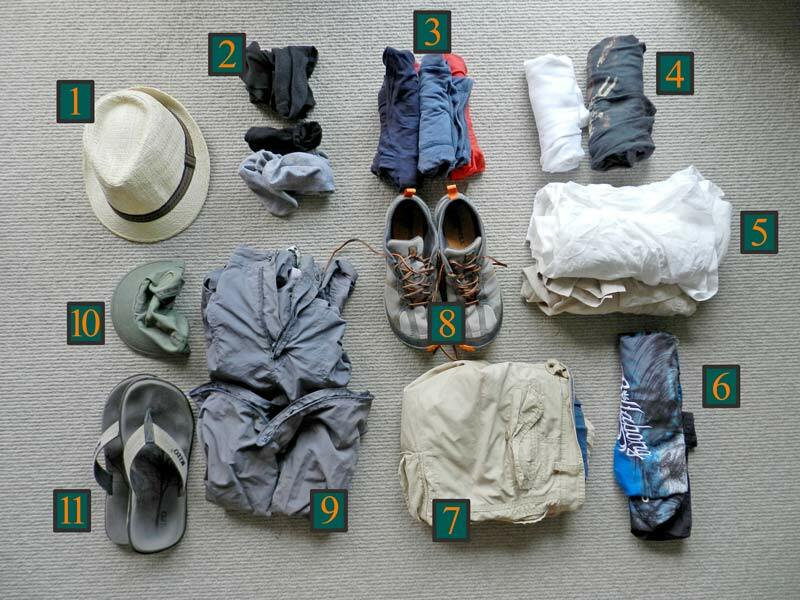 Simply put, here’s what you need to wear according to when you go. If you are going sometime in April or June – Light cotton shirts and light pants or shorts are recommended. Khakis and Cargos go well. Take along a dark pair of sunglasses and don’t forget your safari hats to complete the look (and for the functionality of it). A pair of sturdy sports sandals is a great choice for footwear. If you are planning your trip somewhere around November- February – You will definitely be needing some heavy jackets, gloves and mufflers for the morning and evening hours. While for the daytime just a sweatshirt or light jacket can keep you comfortable. Photography Enthusiasts, ready for your safari adventure? Throughout the year photographer flock to Jim Corbett National Park get great shots of tigers, elephants, deer and other wildlife. The park has become a favorite for seasoned wildlife photographers as well as an amateur just getting into the craft because it has something to offer for everyone. From close up shots to motion shots, the opportunities are endless here. So, make sure you’ve packed everything you’ll need to get those great wildlife photographs. Cameras, lenses, memory cards, chargers, and tripods. Forgetting these behind can cost you some amazing captures. Yep, your safari is going to be a little bumpy one if you forget these tools of civilization. No.1 are safari binoculars. Do not forget them at any cost unless you have super-vision or are satisfied with animal sightings that might look like ant sightings from a great distance. Of course, you can see some animals up and close at Corbett park, but the more the better right? Other must haves includes – flashlights, plug adaptors, lighter and a mini sewing kit for contingencies. If you are one that values your comfort – you definitely will need your travel pillow! And, we are getting down to business. Supplies, no matter how much we have it’s never enough. Many tend to go overboard with taking along safari supplies, but at times we might end up in a soup for taking too little or not taking the right ones. So here is a nudge in the right direction for you, get your pens and papers and start ticking off! There! You are all set to set off on the journey of your lifetime to Jim Corbett National Park.